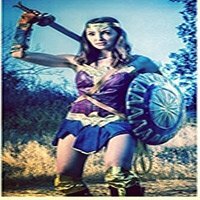 Invite the Best Wonder Woman Lookalike Impersonator to your next event. She has an amazing Wonder Woman look and an exact duplicate costume to the current Wonder Woman look. Always a GREAT hit to any event as the Best Wonder Woman Lookalike Impersonator in the Nation.